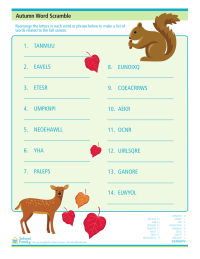 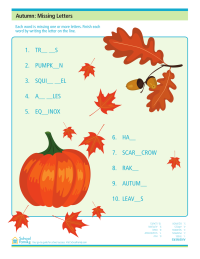 Celebrate autumn with fall worksheets including coloring pages, word searches, math worksheets, writing prompts, and more. 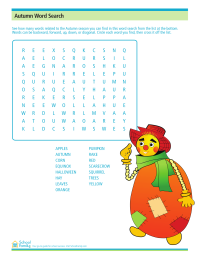 Rearrange each group of letters to find words related to Autumn. 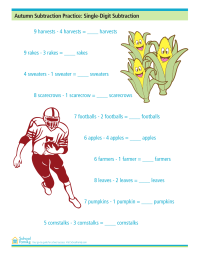 Practice single-digit subtraction with this fall-themed math worksheet. 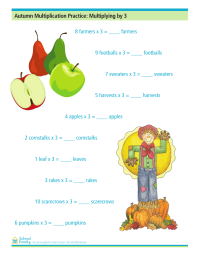 Practice multiplying by three with this fall-themed math worksheet.